This beautifully maintained 2 story traditional style home is sure to fit your family's needs. The home provides elegant wood flooring, crown moldings, custom built in shelving/cabinetry, gas fireplace, granite counter tops and so much more. 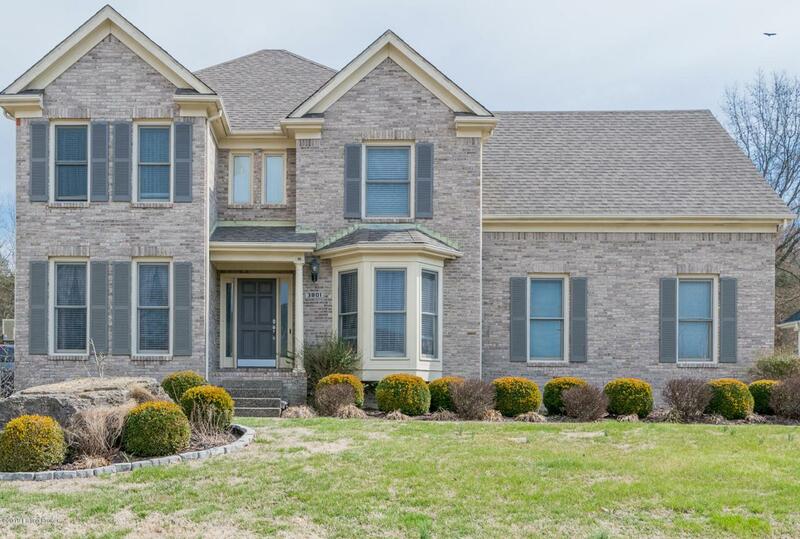 In addition to the 4 large bedrooms and 3.5 bathrooms you can enjoy the distinguished and sizable dining room complete with tray ceilings, wainscoting and large bay windows for plenty of natural light. The immense master suite will surely meet your needs as it offers double tray ceilings, garden tub, double vanity, separate shower and 2 closets. The beautiful office, half bath and laundry room are located on the first floor. The basement is partially finished with a family room and flex room perfect for exercising with so much more space currentlyused for storage however available if you need or want to expand your living space. Additional features include attached wood deck, attached side entry 2 car garage, large backyard with open space as well as trees. The Woodmont Community provides walking trails, playground, tennis courts, fitness center and an awesome pool. Don't miss out on this one.... schedule your showing today.